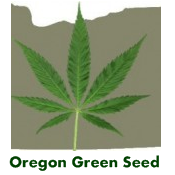 Lebanese CBD - Oregon Green Seed - a breeder-direct Pacific Northwest Cannabis seed company. 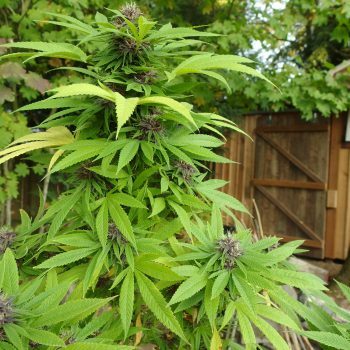 The mother in this medicinal hybrid comes from Esben, Hybrids from Hell, in Denmark. Its a variety that is suitable for more northern outdoor growers with a short flowering period of 45-50 days. In northern Oregon the Lebanese is done by mid Sept. and earlier. Fairly resistant to damp weather, molds, disease — its a moderately potent cultivar with some plants being cbd rich. The Lebanese Landrace was pollinated with our stabilized, high-cbd hemp (Willamette Hush) to take advantage of the Lebanese's fast flowering period and resistance to molds and disease. The Lebanese averages a moderate 10-12% thc. The high CBD (17-19%) hemp father will push the CBD up significantly in this cross. 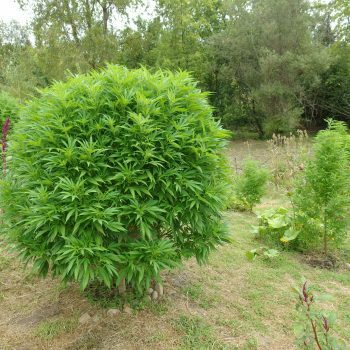 A good choice for growers and patients looking for a little THC and a lot of CBD in a colorful plant that will finish outdoors by end Sept.
Lebanese CBD can be harvested by end september. Available in packs of ten (10) regular seed. Be the first to review “Lebanese CBD” Click here to cancel reply.